The student property has gone from strength to strength with the sector bringing in almost £6 billion per year. This is due to purpose-built student accommodation being the UK’s highest yielding property asset. The popularity of investing in purpose-built student accommodation has now gained a strong global reputation, with overseas investors accounting for approximately 64% in 2016 alone. Students are now demanding better accommodation which, to no surprise, has seen purpose-built student accommodation increasingly demanded by investors. This is due to the sector creating an array of new opportunities for them. 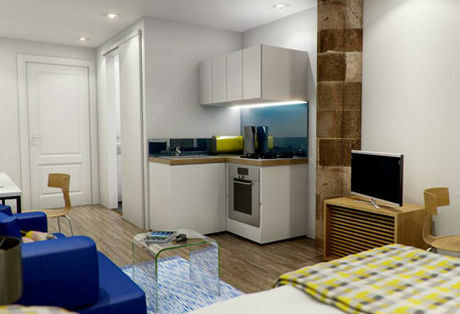 Purpose-built student accommodation is a development specifically constructed to meet the needs of students. This means each development will offer a mix of communal areas, study spaces and private living areas, revolutionising the student accommodation sector. The developments also often come with specialist management teams, who are located onsite and responsible for all operational duties. These duties include; paying utility bills, 100% occupancy levels, rental collection and chasing any late payments. Purpose-built student accommodation will also have monthly site inspections which are carried out to retain the appeal of the development. With purpose-built student accommodation so highly demanded, UK university towns are seeing a critical shortage in supply, with only a quarter of students being able to access the top accommodation. Renowned cities such as Manchester, Liverpool and London (to name a few) are oversaturated with purpose-built student accommodation. However, the undersupply gaps are continuing to widen with some less well-known cities having supplies as low as 20%. Purpose-built student accommodation can be purchased relatively cheap yet still offer strong rental returns. With most developments in the sector being off-plan, investors are able to benefit from below market value, assured returns and strong income for a set number of years. Yields on purpose-built student accommodation can reach figures as high as 10%. Compared to buy to let investments, with an average of 6% yields, student property offers investors strong rental returns. Unlike buy-to-let investments, purpose-built student accommodation offers hands free investment opportunities with the opportunity to maximise rewards. Overall, investors are able to own a development in set within a prime location, achieving long-term demand and continuous rental income growth. Why is the UK popular for student property investment? The UK’s education system is highly sought after with taking home 51 of the top 200 universities in Europe. Alongside the renowned reputation, the growth in tuition fees has also allowed England’s universities to increase their budget for supplies to over £1.8 billion, benefitting the students by offering excessive research opportunities (something not all areas can offer). As a result of having the world’s second-best university system, the UK has become the second most popular study location, with the expectation of growing its number of international students to 600,000 by the end of 2020. The removal of intake restrictions in 2015, means universities can accept as many students as they want, which has seen a 30% increase in the past decade alone. If you are interested in making an investment in student property take a look at out student portfolio here. Or contact Hopwood House today to find out more about student property investment.